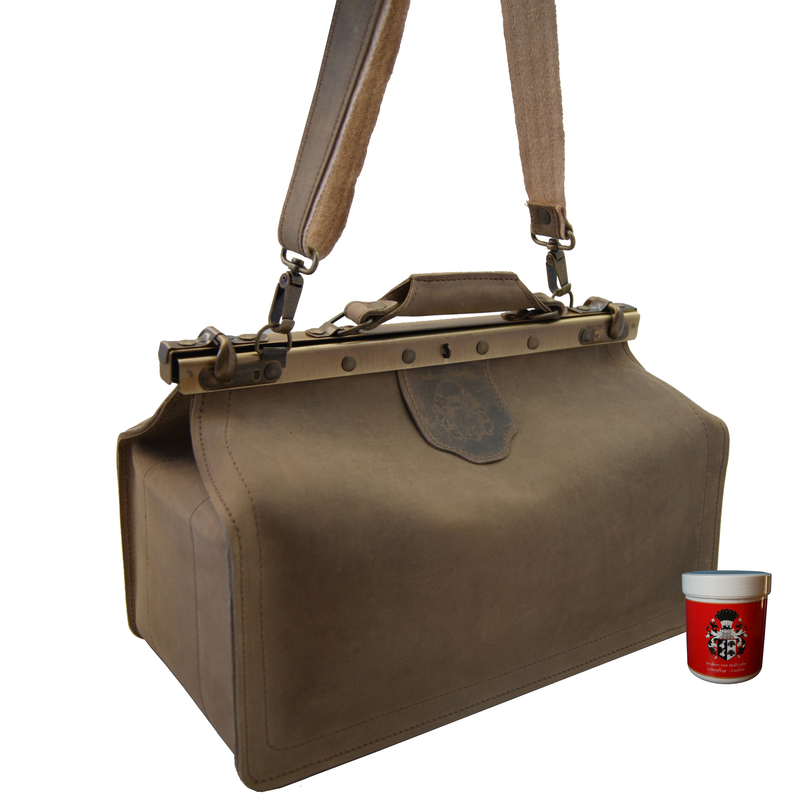 Product information "Shoulder bag PETTENKOFER antique brown leather"
The robust midwife’s bag PETTENKOFER made of brown organic leather offers lots of inner space and a beautiful antique design. The shoulder bag PETTENKOFER is made of brown, high-quality, thick organic leather that guarantees a long-lasting life. The inside storage space is wide enough for the important equipment a midwife needs in her daily work. Hang the wide shoulder strap comfortably over your shoulder so you have both hands free. You will be proud of the fantastic old-stylish design and the fabulous scent of natural leather! With dimensions of 15.7 x 8.7 x 8.1 in (40x22x20.5 cm) this bag represents a space miracle. The functional medical bag PETTENKOFER contains beside the main compartment a side pocket for the writing block and other little everyday helpers like an extra pocket for the cell phone. The leather, up to 2.7mm thick, is hand crafted and enough robust to withstand the daily strains of work over the years. So will your new medical bag accompany you for a very long time. The shouler bag PETTENKOFER of brown leather has been manufactured with organic leather of German production, vegetable dyed and greased by hand: a traditionally processed, high-quality product that accomplishes all requirements of the seal ‘’Made in Germany’’. With the daily use, there will appear some new colour shades which will make your medical bag really unique and personal. 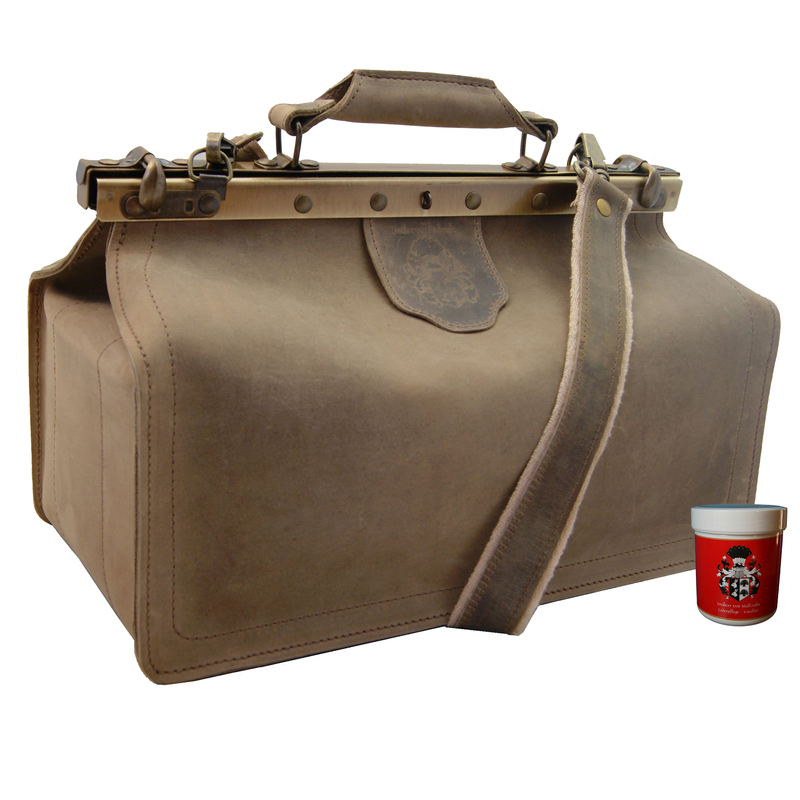 Order now your medical bag PETTENKOFER of brown organic leather of the fabulous Collection BARON of MALTZAHN and enjoy the wide space and beautiful classic style! Reviews for "Shoulder bag PETTENKOFER antique brown leather"